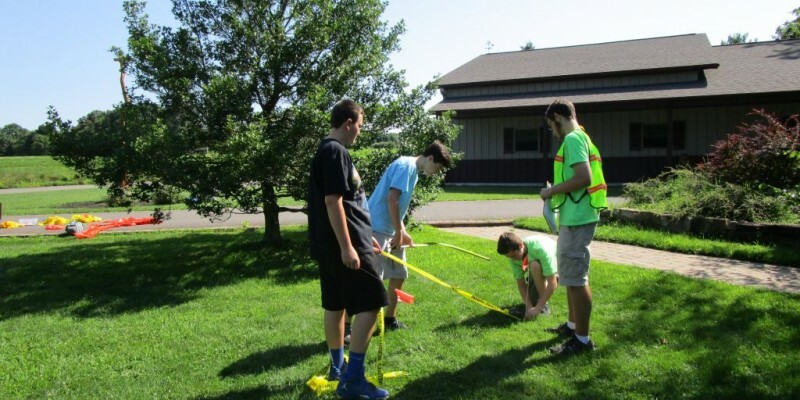 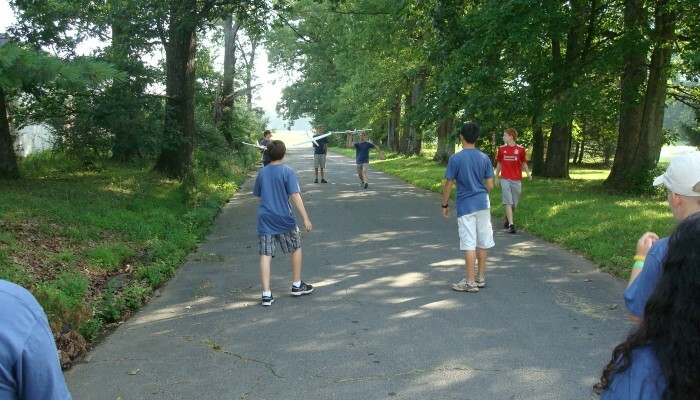 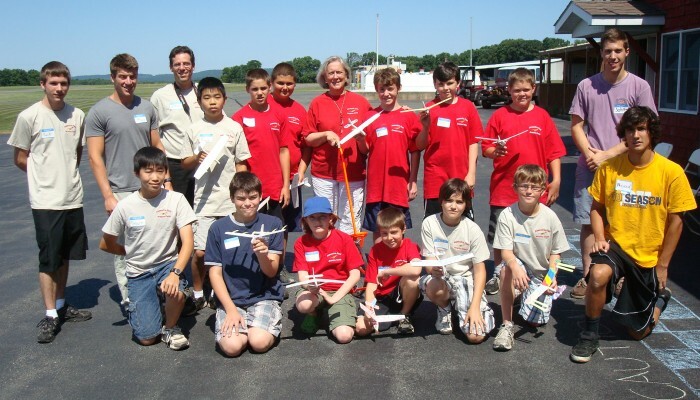 Up, Up, and Away in Hunterdon, Inc. has accepted a grant for the 2019 Cleared for Takeoff Camp. 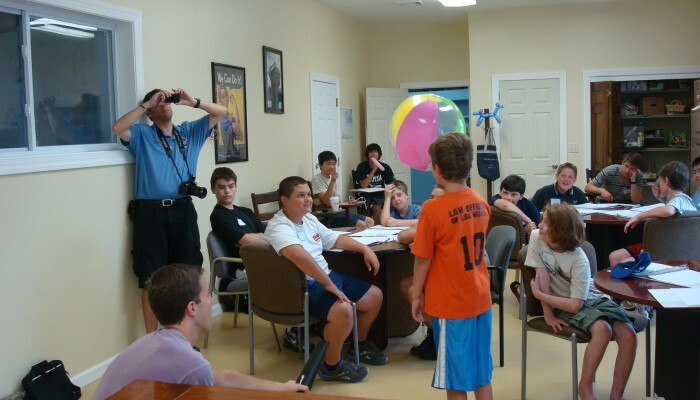 The Second Street Youth Center in Plainfield, NJ will be filling the twenty camp slots with their middle school students for this summer. 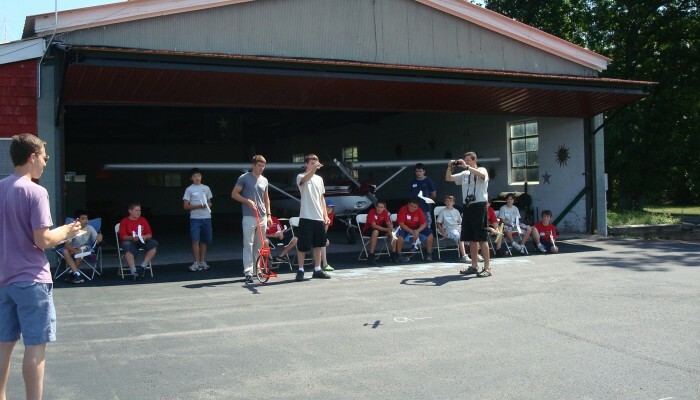 The camp will run from August 12 through August 16. 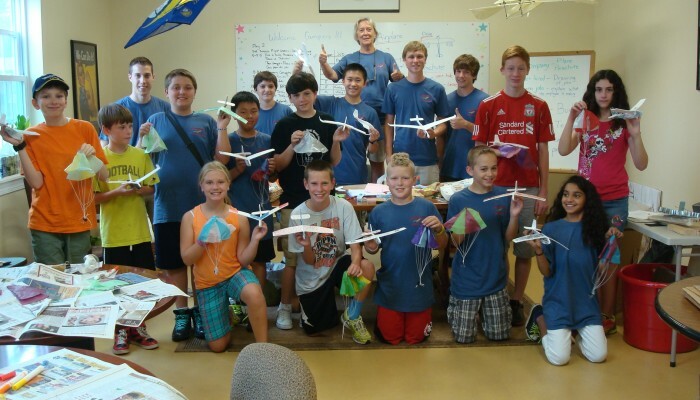 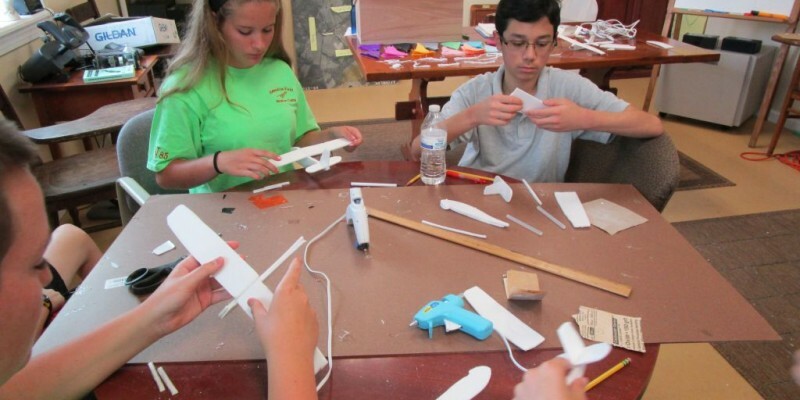 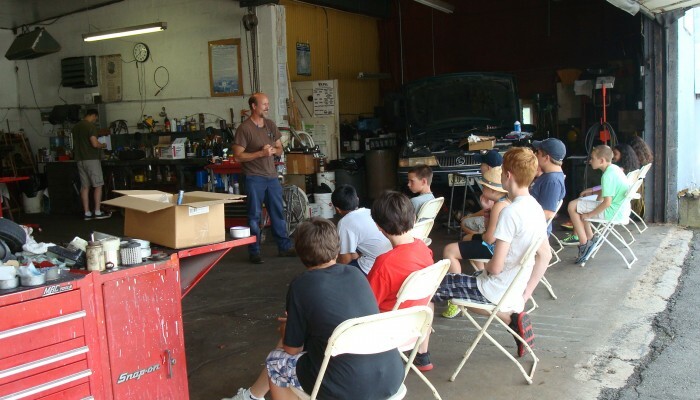 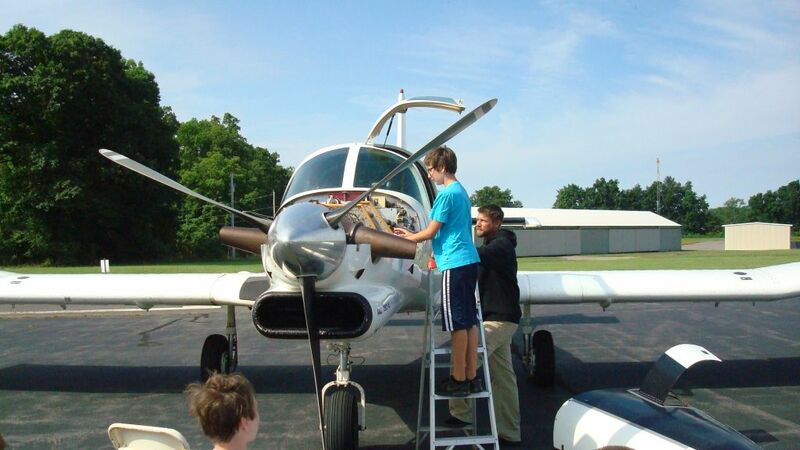 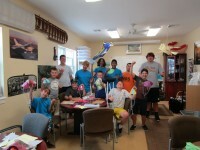 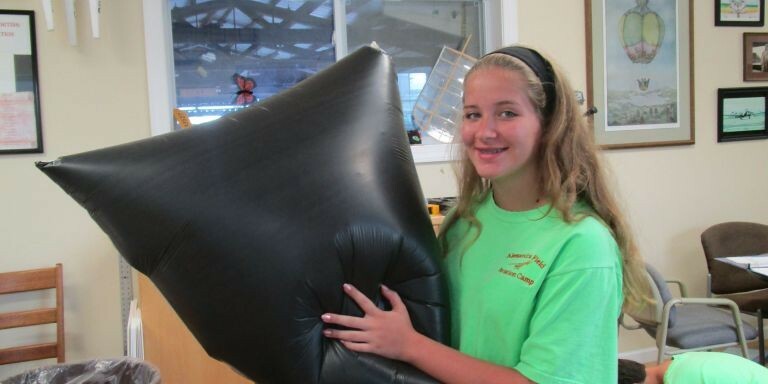 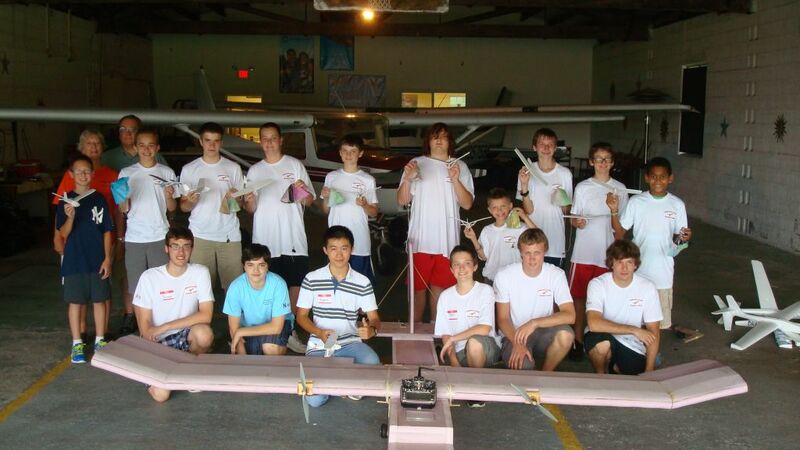 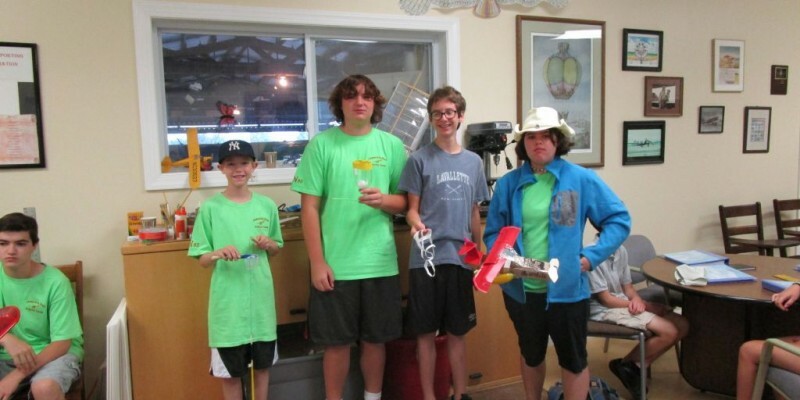 Several N85 Aerospace club students will assist with content instruction and receive a stipend via the grant. 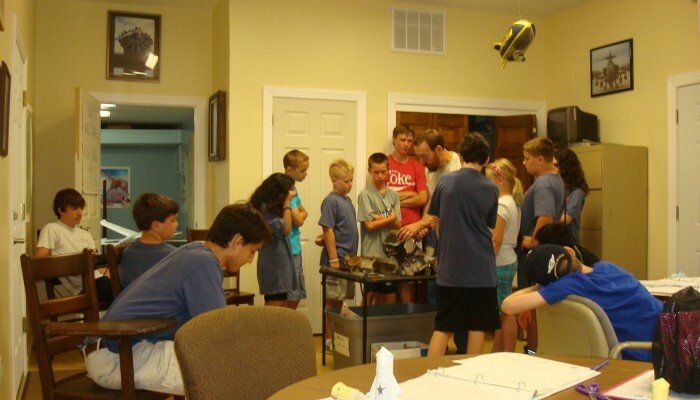 We anticipate returning to the open enrollment camp for the 2020 summer program. 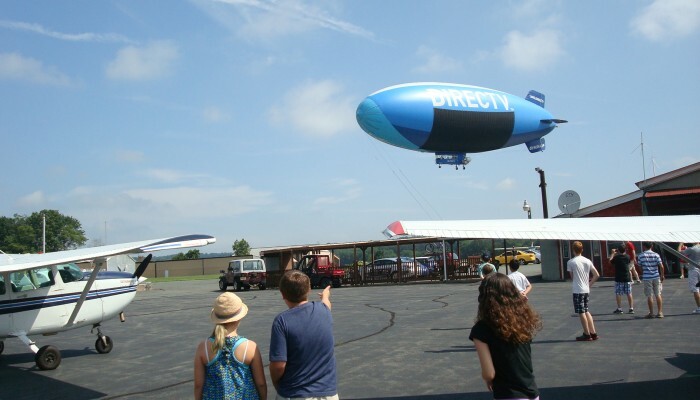 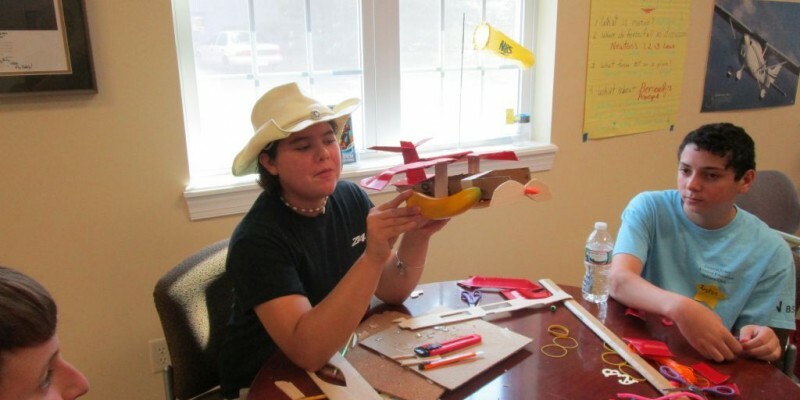 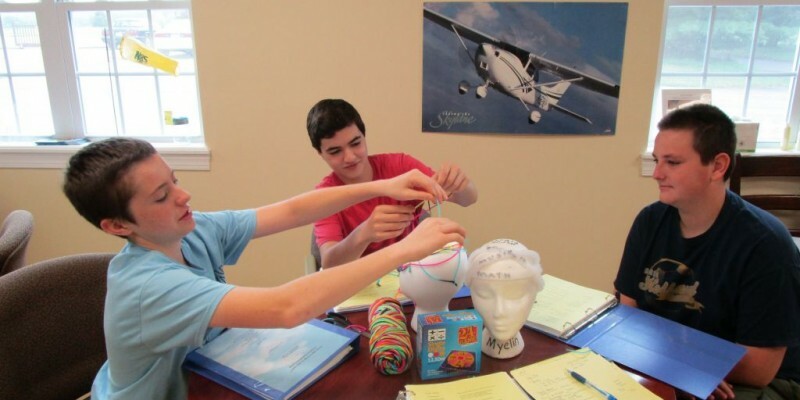 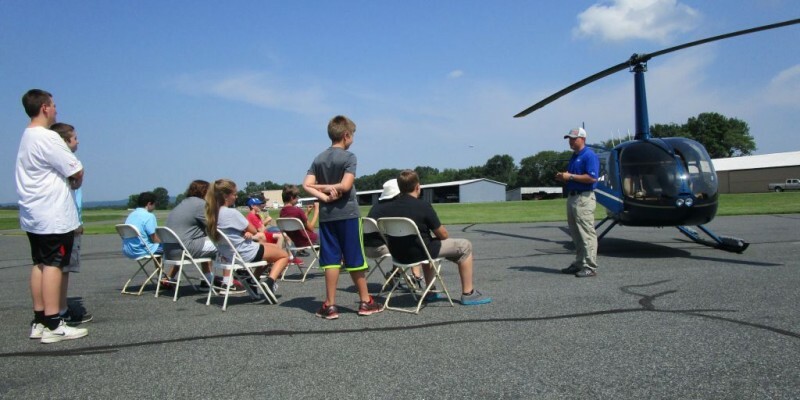 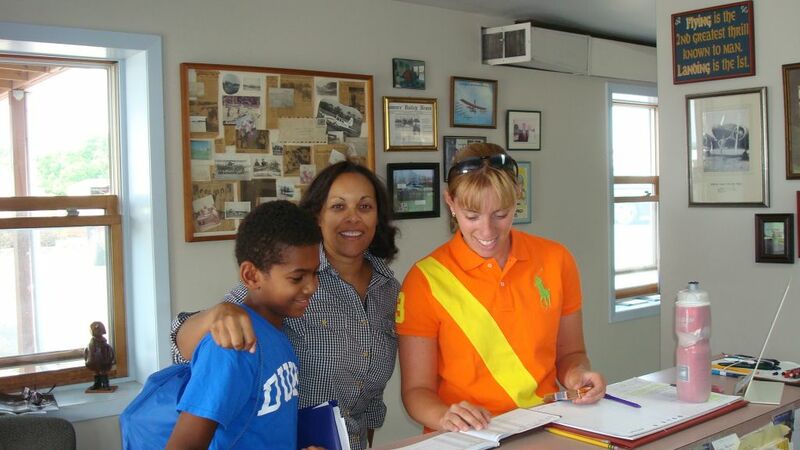 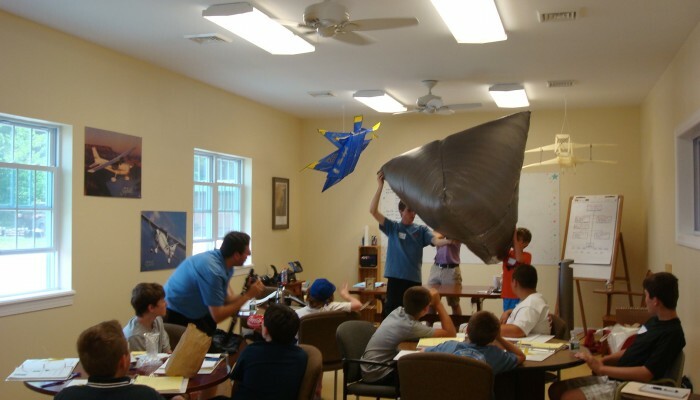 The first Aviation Education program for children was offered at Alexandria Field airport in the summer of 2001. 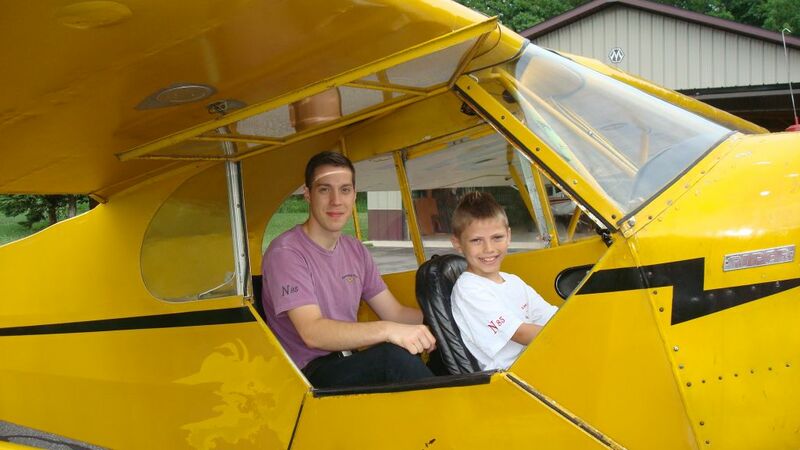 Linda Fritsche Castner part-owner and operator of the field was contacted by a mother who was looking for a summer program for her son who very much wanted to become a professional pilot. 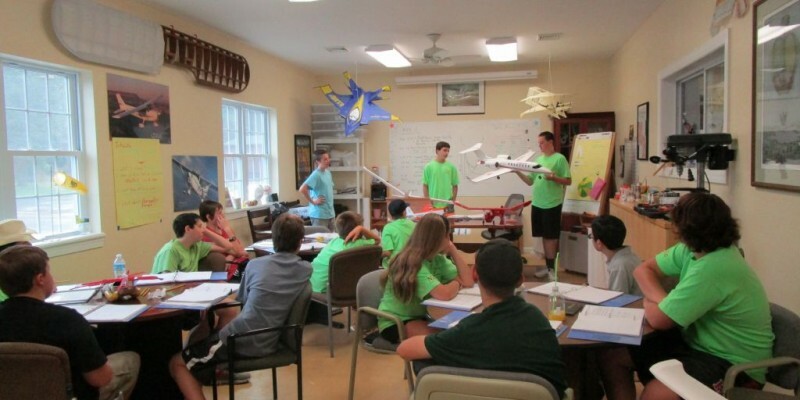 The “Cleared for Take-off” aviation education program was born. 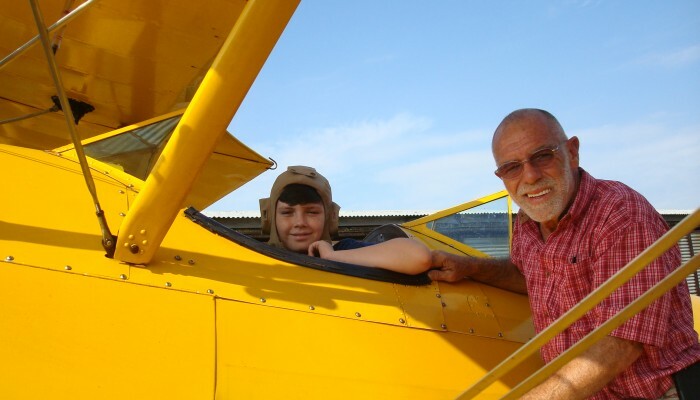 At Alexandria Field (N85) the emphasis has always been on growing new pilots. 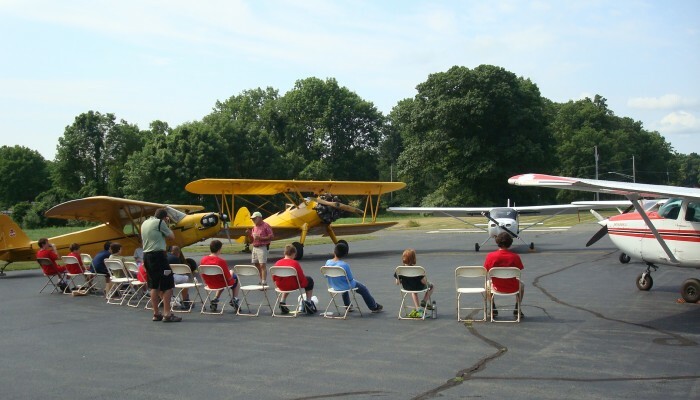 Since William Fritsche carved the first runway out of a cornfield in 1944, Alexandria Field has focused on teaching people to fly for both career opportunities and the freedom of personal flying. 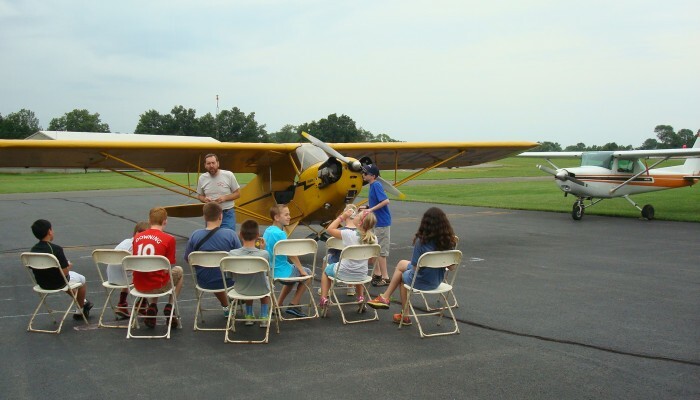 Bill’s daughter, Linda Fritsche Castner manages the airport today with her husband Corky and brother Bill and is the President of Up, Up, And Away In Hunterdon, Inc. the corporation which developed the “Cleared for Take-off” camp curriculum. 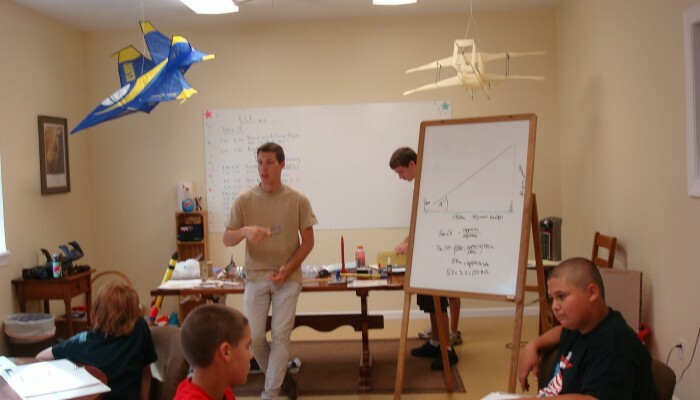 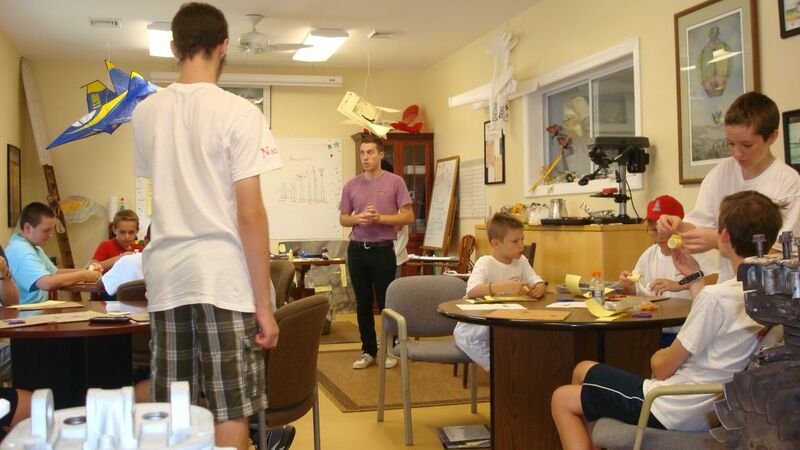 The aviation camp has become a true system for mentoring students to move from campers to content research involvement, to individual lecture delivery, ending in full participation in the week long curriculum. 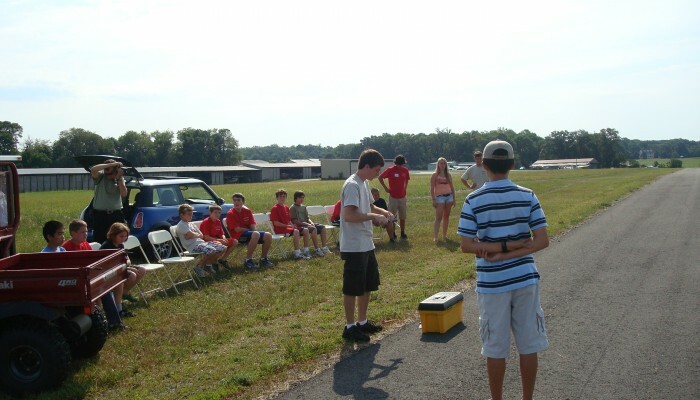 With the addition of the new classroom the size of the group can be as high as 20 students. 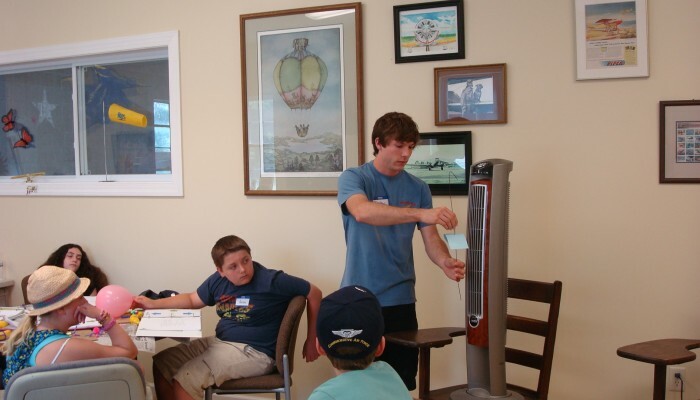 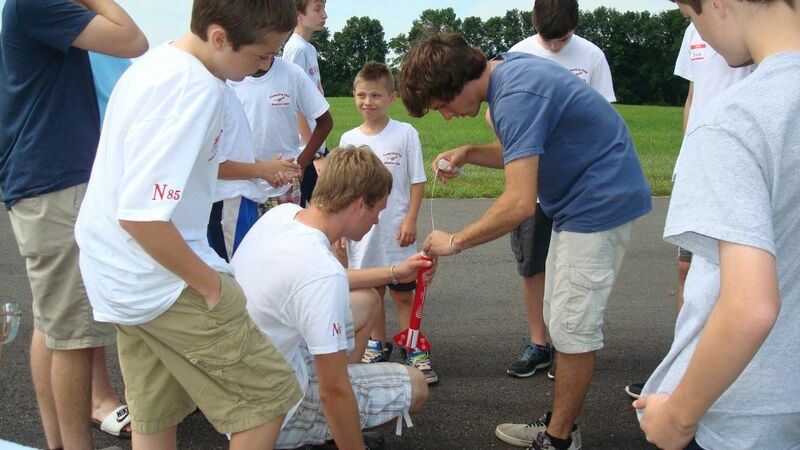 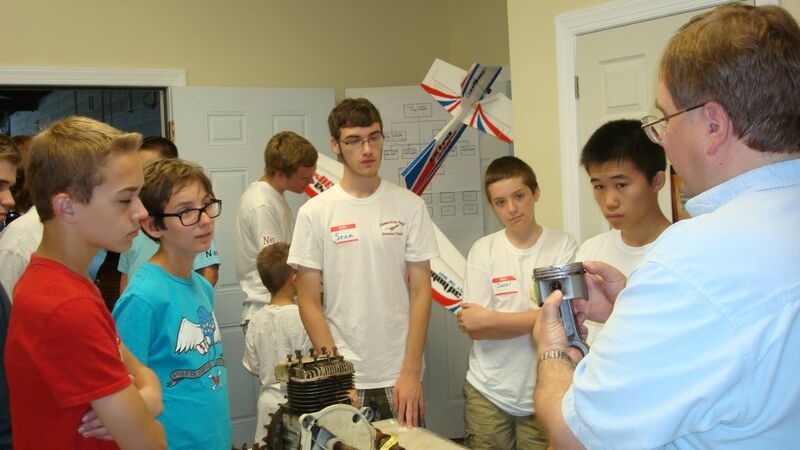 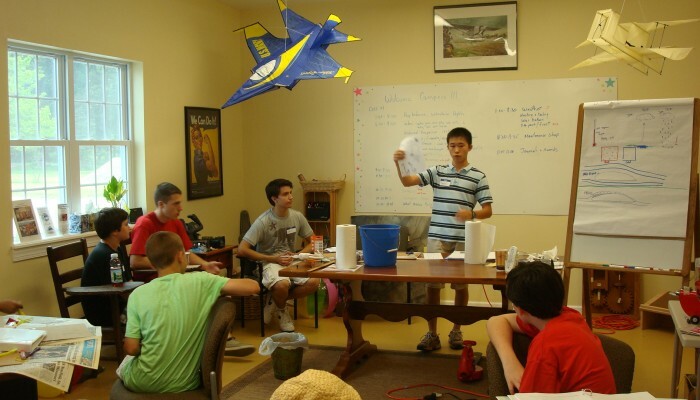 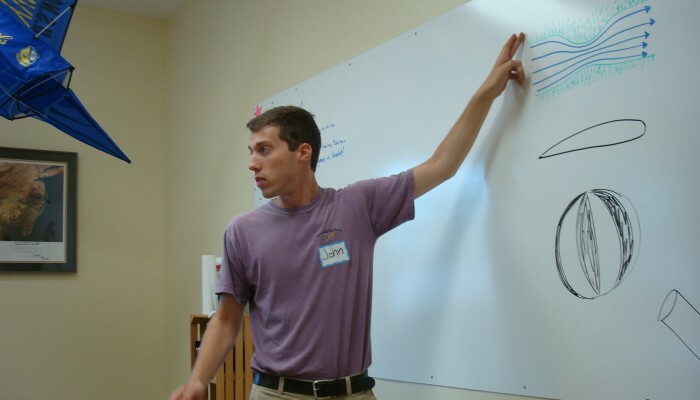 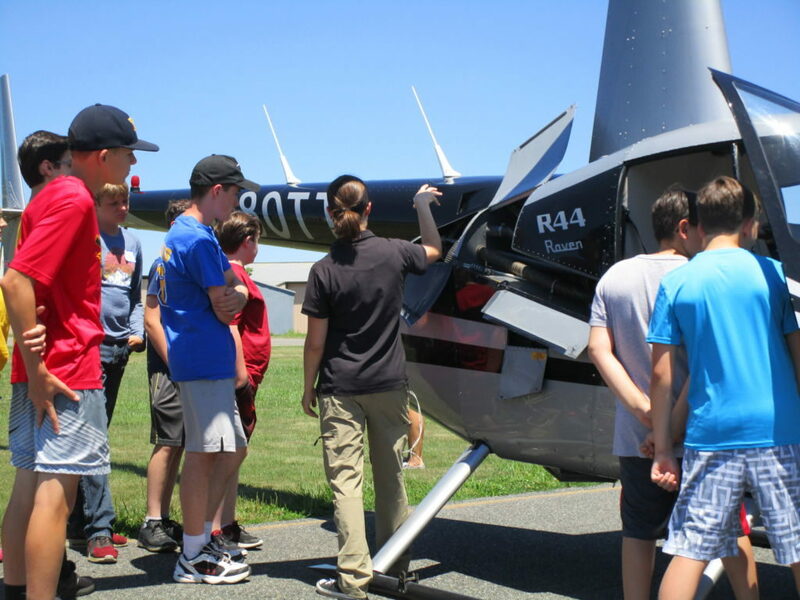 As the years go by, past students who have gone on to pursue careers in aviation related sciences have returned to assist with camp- this has broadened the depth of educational content. 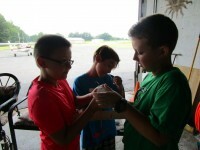 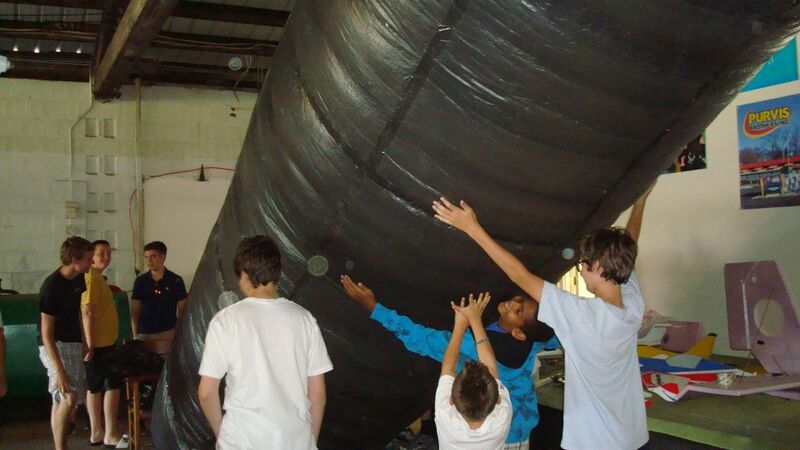 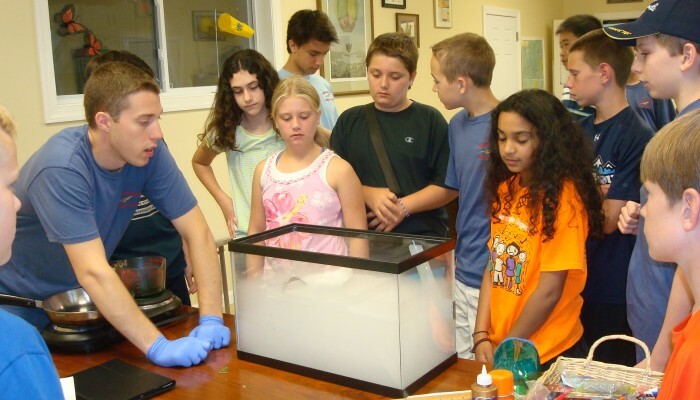 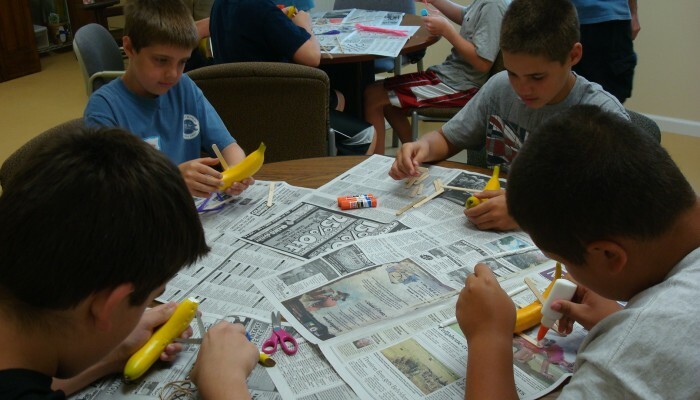 The program is 80% hands on activities and 20% instructional lecture. 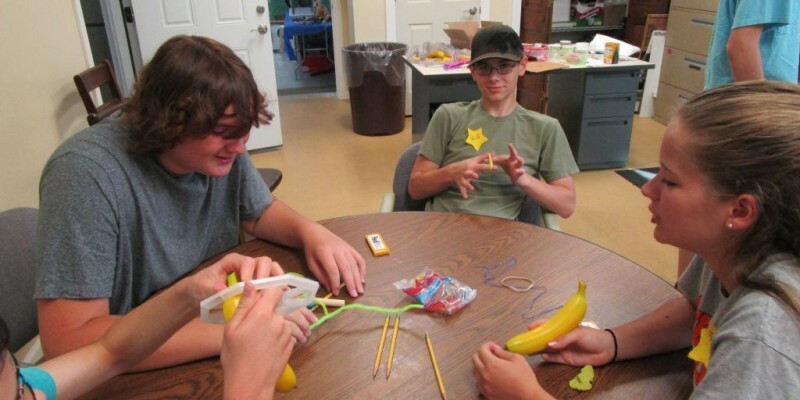 Fun is a major by-product! 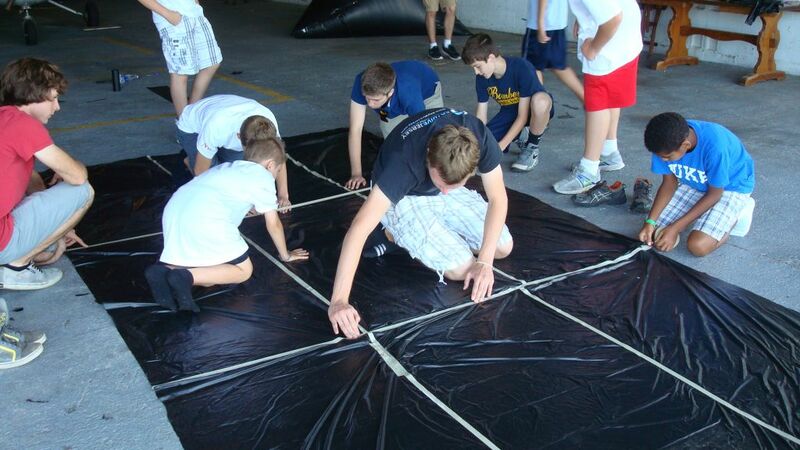 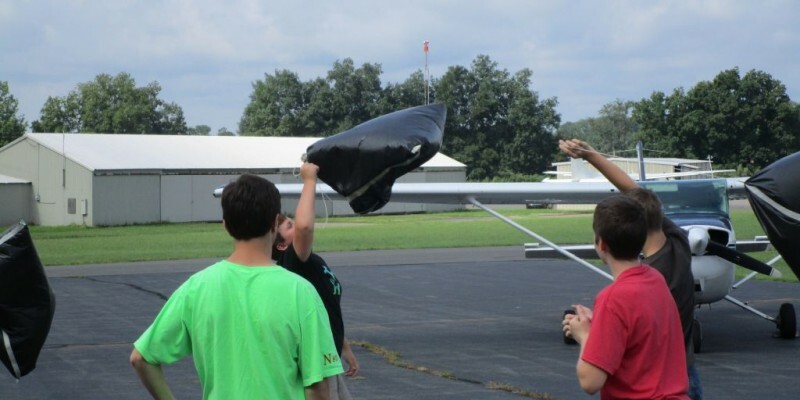 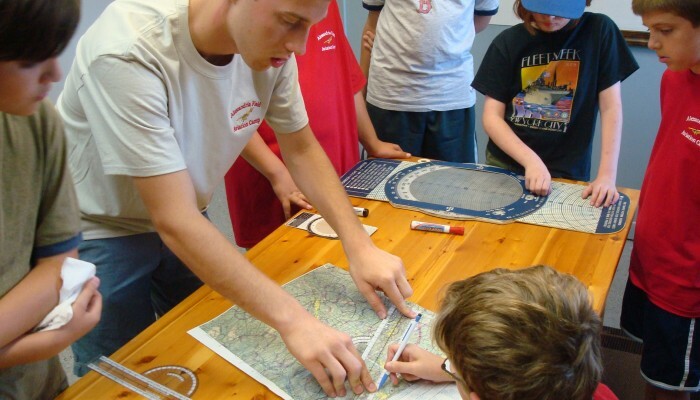 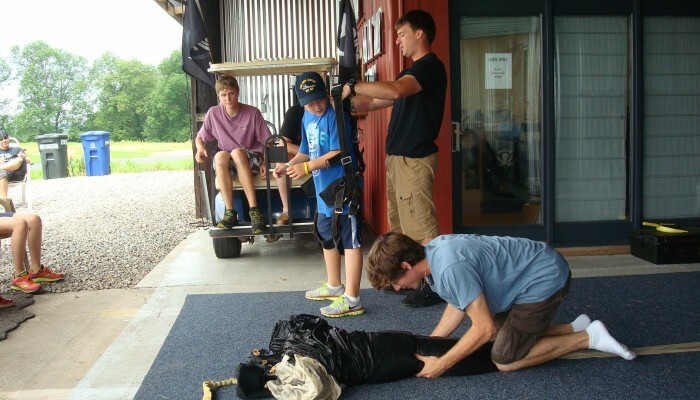 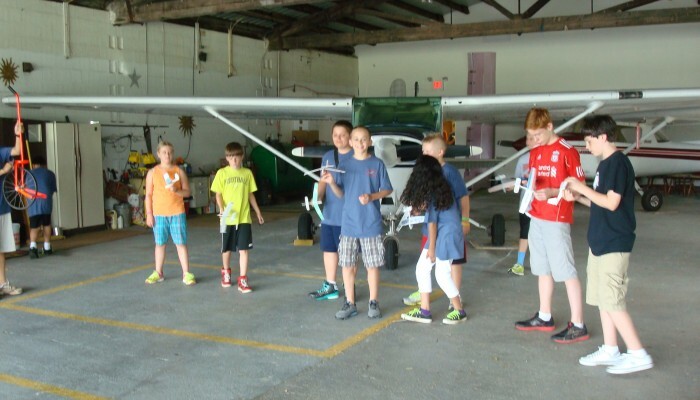 **Following camp flight lessons are conducted in 30 minute time slots. 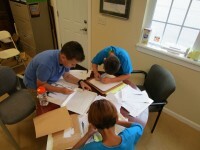 Students sign up for the lessons separately from the camp registration. 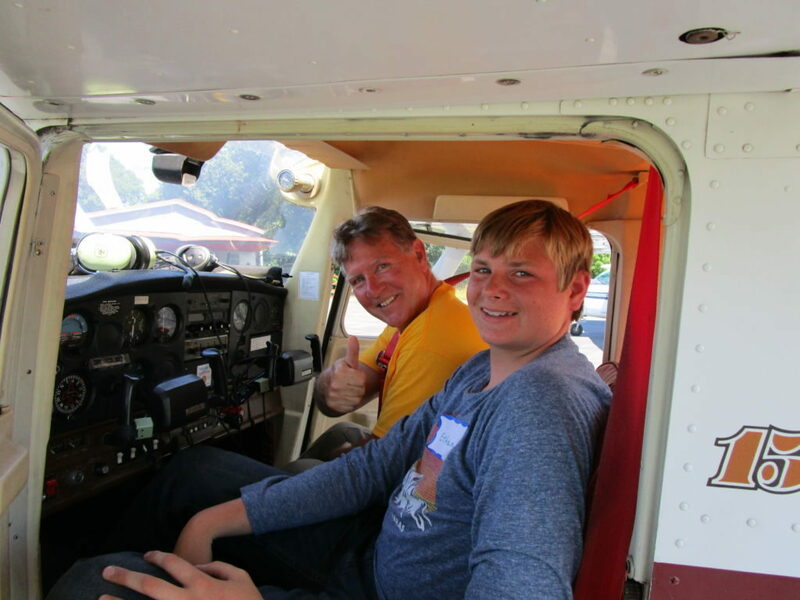 The flight lessons are not mandatory they are an additional opportunity and most students take two lessons during the week. 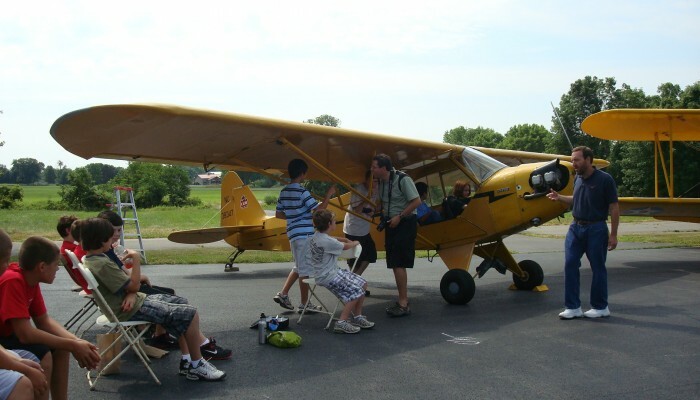 The current rate for a Cessna 152 (2 seat training aircraft) with instructor is an additional cost. 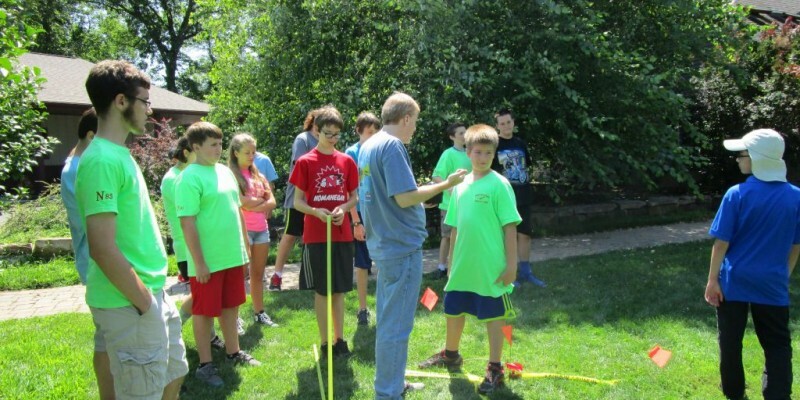 Students must have completed 4th grade and not entered high school yet, usually this means the age of the camper is between 11 and 13 years. 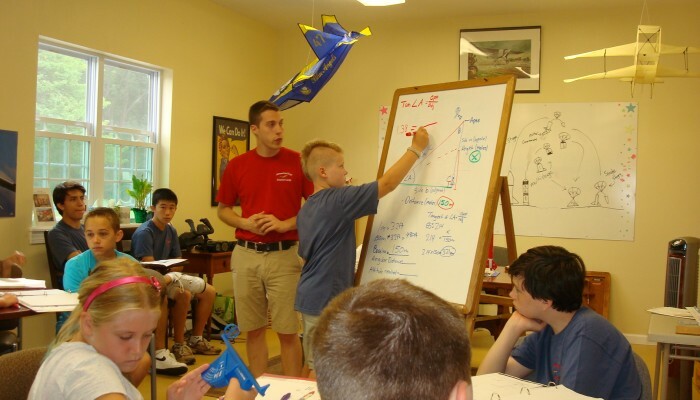 Sometimes we get 10 and 14 year olds however they still must meet the grade requirements. 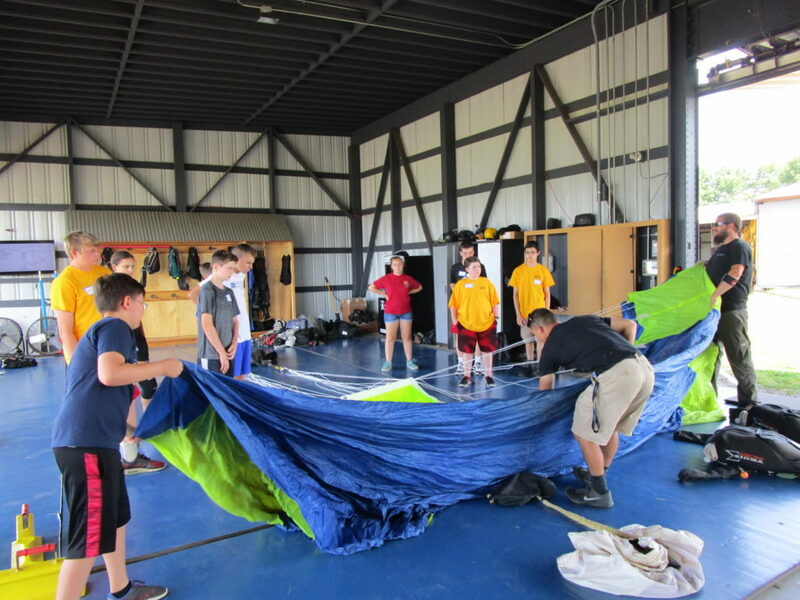 A Waiver and General Release for the Cleared for Take-off program must be on file the first day of the camp. 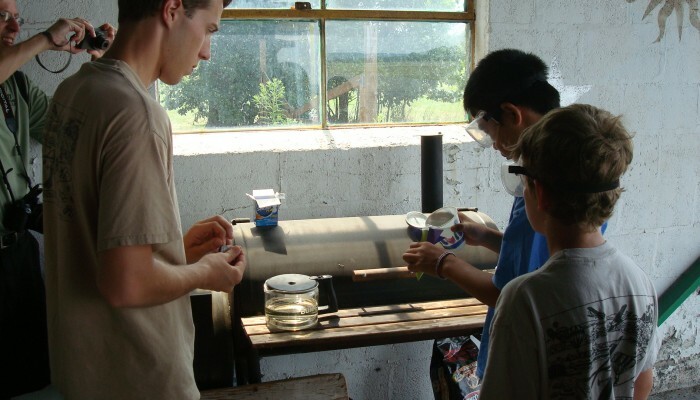 A form is contained in the camp brochure. 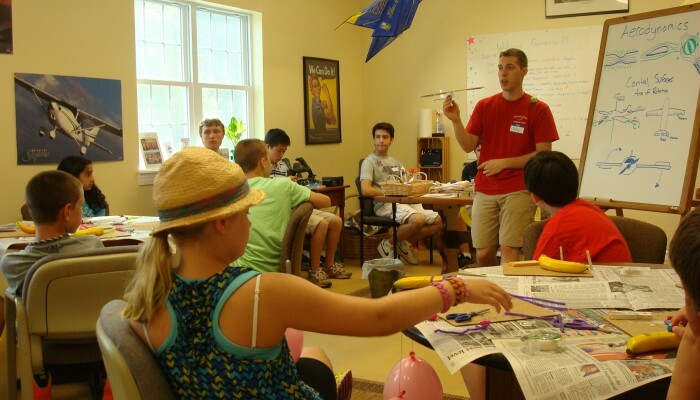 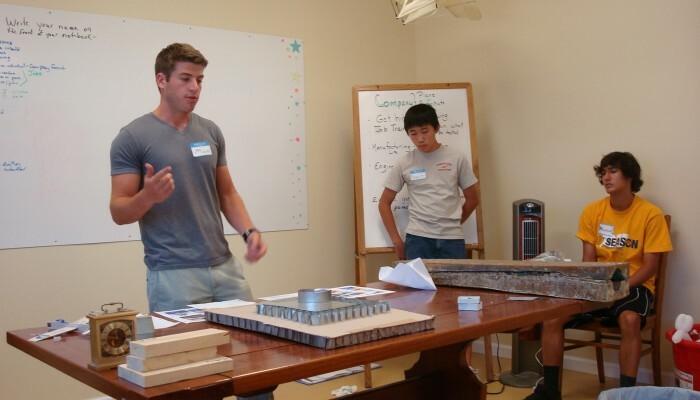 A $100 Deposit check (non-refundable) should accompany the application (in camp brochure). 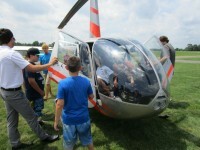 It is understood that there are no refunds due to illness, absences or withdrawals. 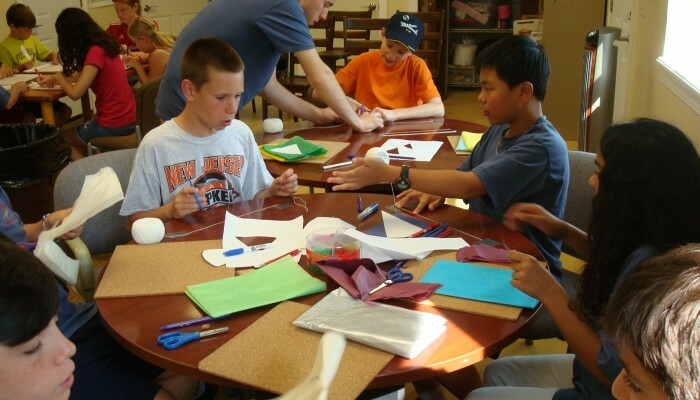 A balance of $125 is due the first day of camp for a total fee of $225. 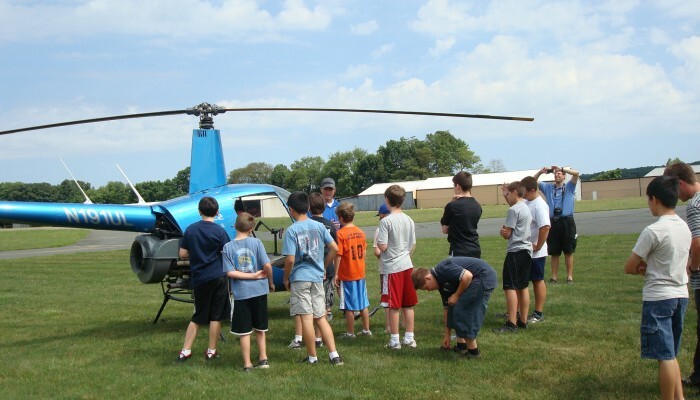 Checks are made payable to: Up, Up, And Away In Hunterdon, Inc. Camp will not take place with less than 8 participants per session. 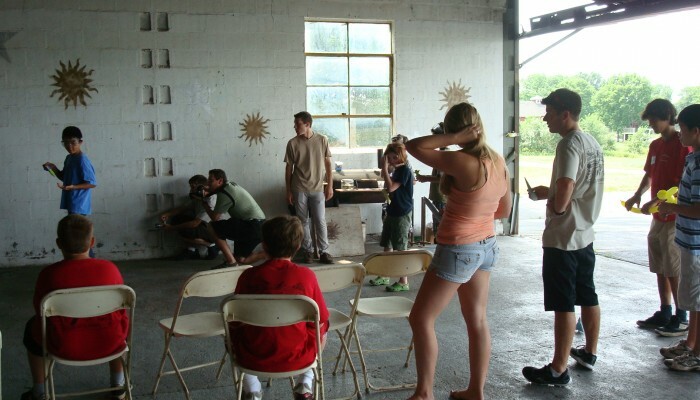 Your deposit will be returned if less than 8 participants register. 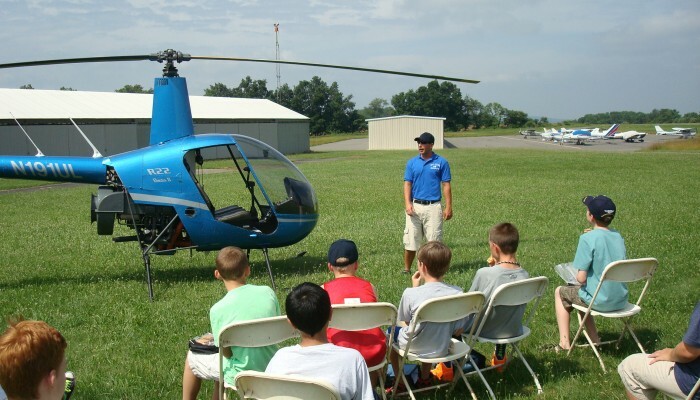 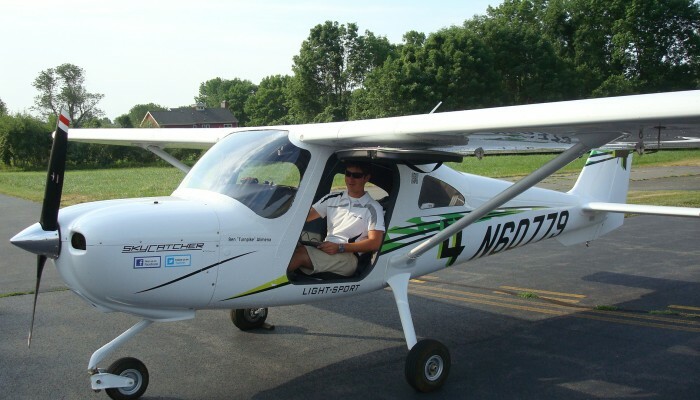 **Flight Instruction is an additional fee and is paid to Alexandria Field, Inc. the operators of the on site flight school at the time the lesson is given. 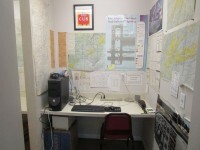 The charge will be whatever the current rates are for aircraft and instruction. 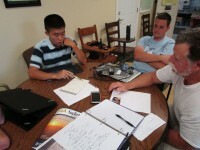 Additionally the student usually wants to buy a logbook at this time which runs about $8.00. 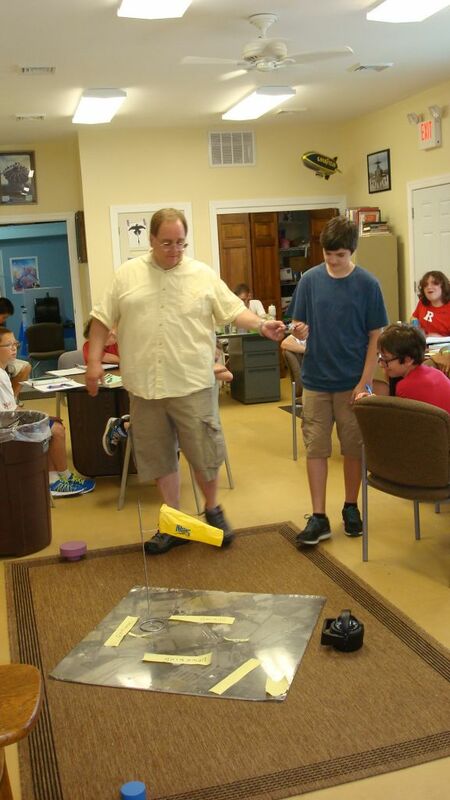 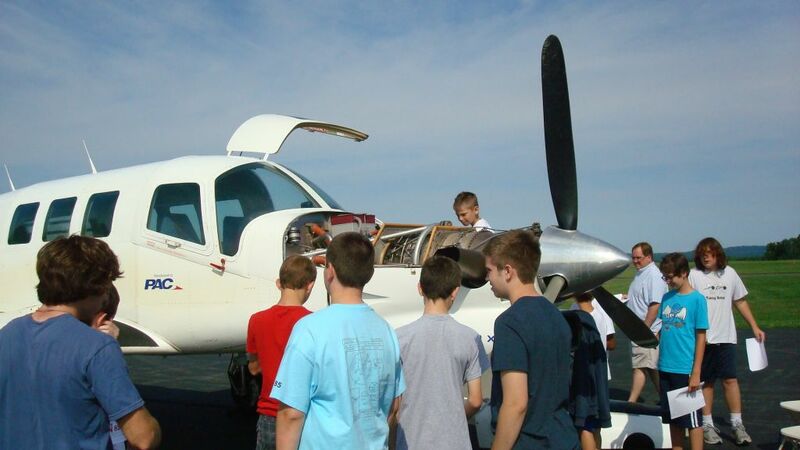 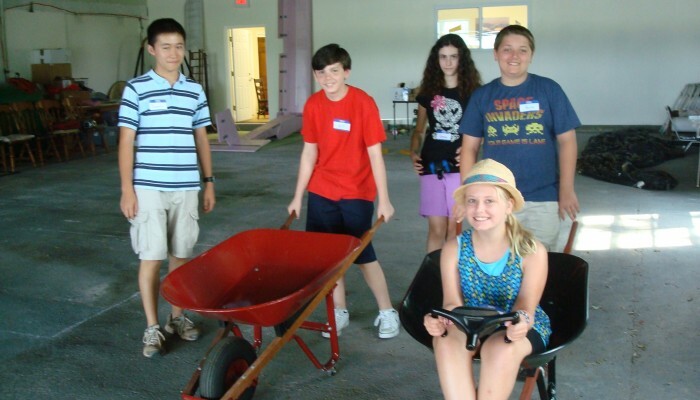 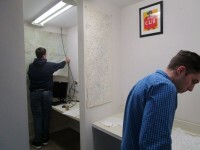 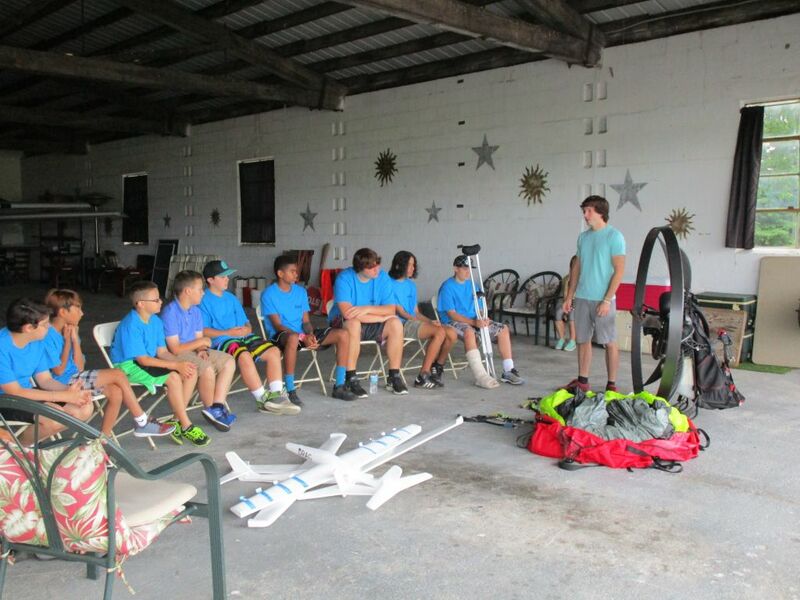 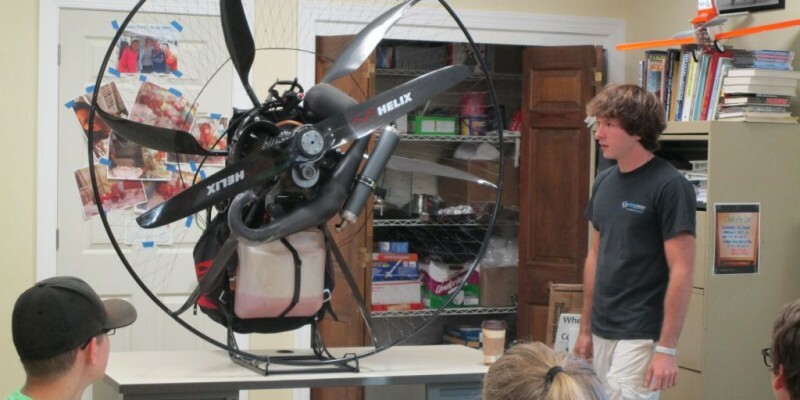 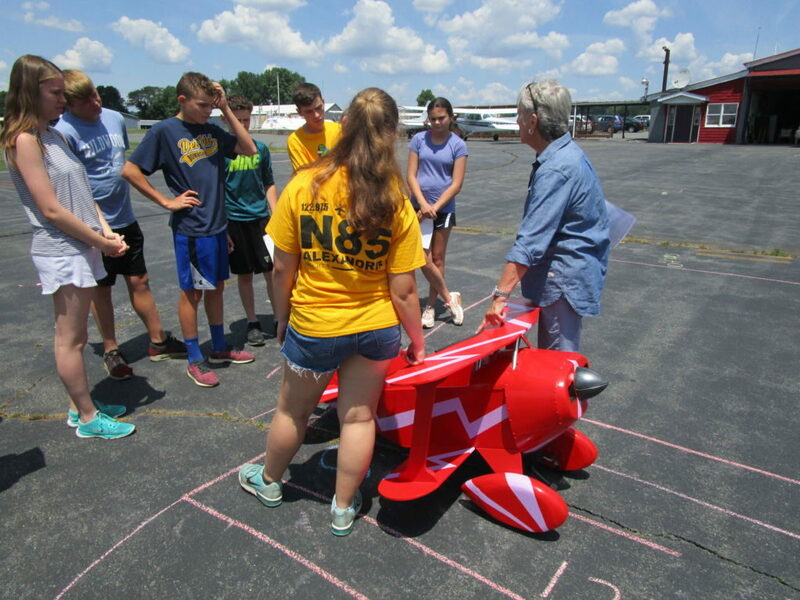 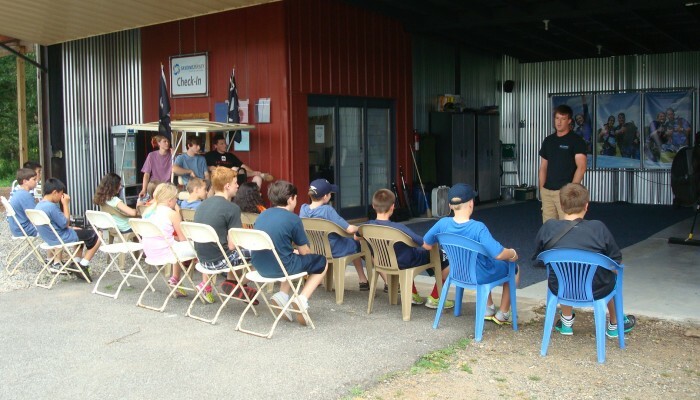 The 2016 camp was turned into a “summer project” for the N85 Aviation Club Members to allow completion of the physical location for the flight simulator. 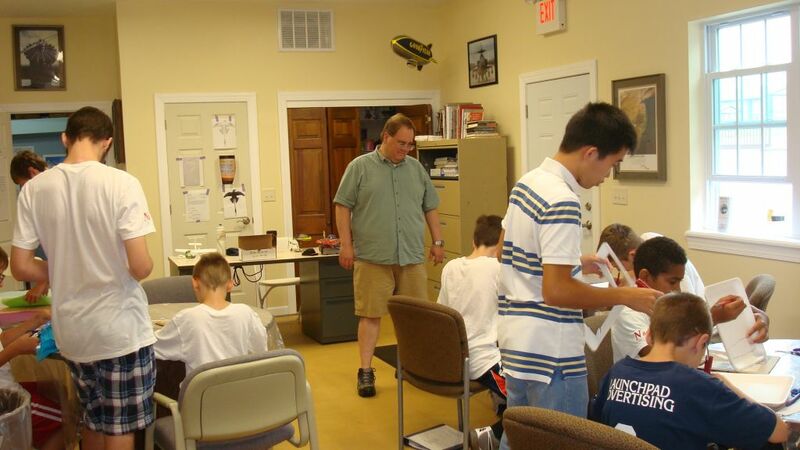 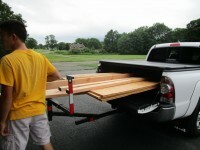 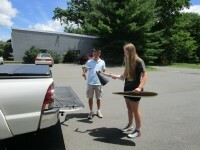 Approximately 10 students and 4 adults worked all week from 10am to 1pm and then again from 5pm to 8pm. 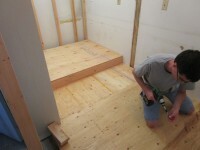 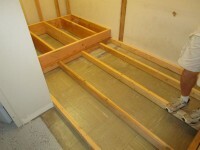 Here are some of the photos showing the progress made. 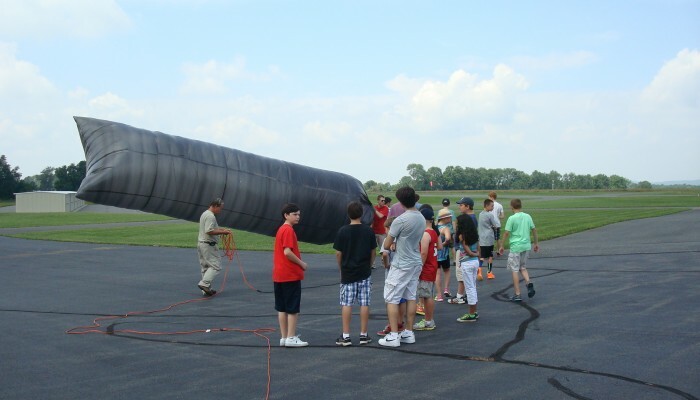 It is anticipated that the simulator will be ready for use in the fall of 2016. 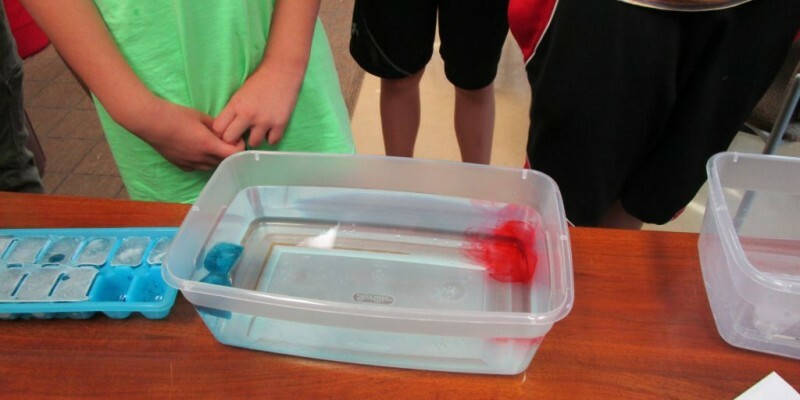 Research to imagine the end result. 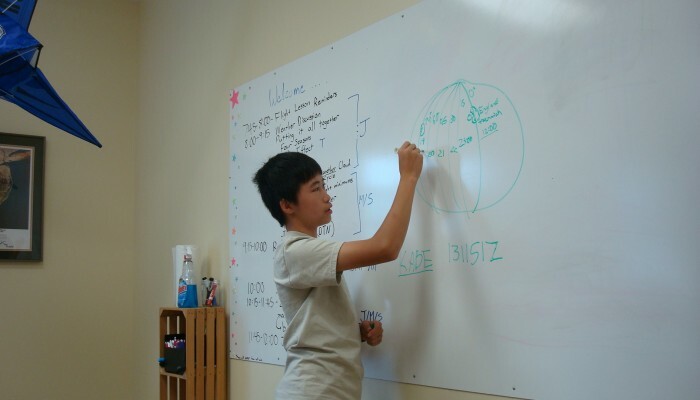 Drawing design/thinking/planning. 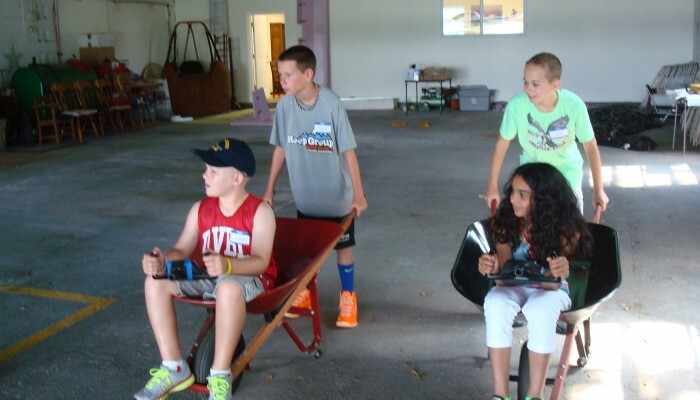 Hey look what we found in the horse barn!